Italpinas Euroasian Design and Eco-Development Corporation (ITPI Corp.), which is building the Primavera Residences in Cagayan de Oro City – recent winner in the 2014 Asia Pacific Property Awards – is now looking at replicating its project in other urban areas of the country. ITPI’s award-winning Primavera Residences showcases simple design solutions for sustainability. 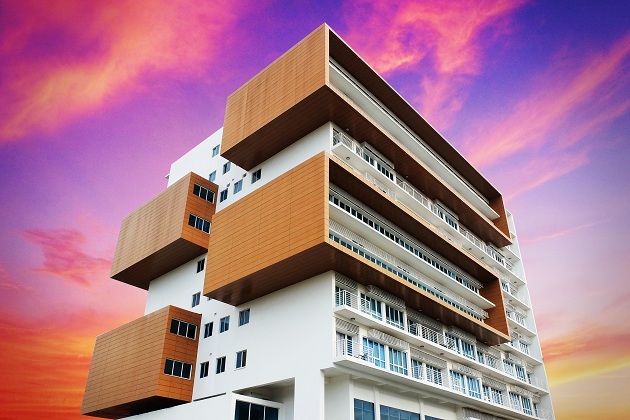 For instance, to lower the building’s temperature during the hot summer months, the building has brise soleil shades that protect the windows from direct sunlight. It also has an inner courtyard that allows air and natural light to come into the building. Featured in Manila Bulletin, 18 May 2014.